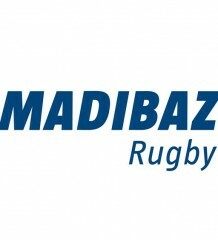 The Varsity Cup prop, who has been sadly sidelined for the season by an injury, has been nominated for the Zimbabwe Achievers Awards in the Sports Personality of the Year category for 2019. “It is an initiative that honours Zimbabweans who reside outside of their home country and are doing commendable things in a variety of fields,” said Bhasera, who will graduate from UJ with a law degree (LLB) in April. “It covers categories from business to community work to academia, sports, culture and media. The 23-year-old Bhasera said he was privileged to be considered for the award. With his home base being Kadoma in Zimbabwe, Bhasera lives in Atholl in Johannesburg, although he will be leaving later this year to study in the United Kingdom. Having initially received offers to attend various top law schools around the world, Bhasera chose to pursue his career in UJ. 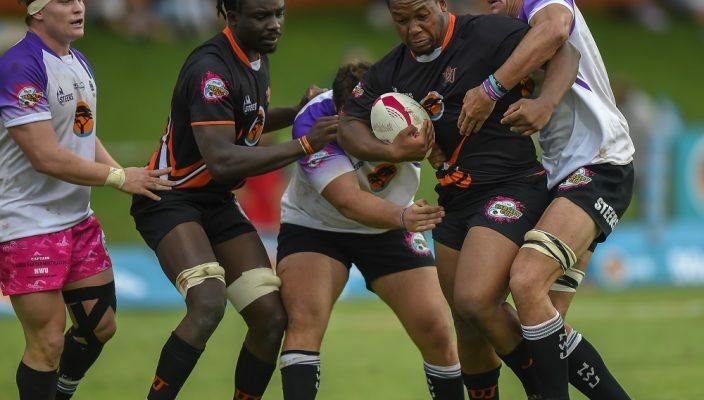 “I took that route because I wanted to exhaust my desire to play professional rugby and to play at the highest level,” he recalled after leaving school at Falcon College in Zimbabwe. He turned out for the Lions U19 team in 2015 and played for the province in the SuperSport Challenge and the Currie Cup premier division. 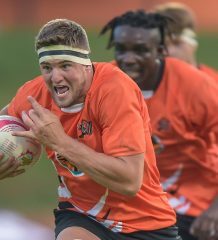 After being part of the Young Guns set-up at UJ, he graduated to the Varsity Cup squad this year before the injury ended his future in the competition. “I played the first three games of the season and then suffered an injury in training that has put me out for the rest of the programme. 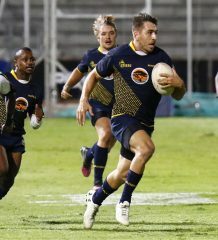 “Despite that my Varsity Cup experience has been largely positive – it’s a unique initiative that combines the benefits of top-level rugby with the perks of studying at an institution of higher education. For now, though, his sporting career will be on the backburner as he turns his attention to a Masters in Law degree (LLM), starting in the UK in September.